It is arguable as to who was Sunderland AFC’s greatest manager. If such a poll was to be taken, the knowledgeable choice would be between Tom Watson, Bob Kyle and Johnny Cochrane. Watson was perhaps the man who created the atmosphere of endemic success at Sunderland AFC, starting a culture that the other two would build on. The life and times of Watson is interesting and can be told through the following long and numerous articles of his day, mainly from newspapers outside the North East. Born: April 8 – 1859, in Newcastle-upon-Tyne, in England. Passed away: May 6 – 1915, in Liverpool (Lancashire), in England. April 8 – 1859, born in Newcastle-upon-Tyne, parents: Ralph Watson (1834-1912) and Mary Ann (Watson) Hall GM (1836-1894). 1861 Census: Age 2, living with his parents and brother John (7 weeks) at 4 Heaton Street, Byker. 1871 Census: Age 12, living with his parents and brothers John Hall (10) and Robert William (3), sisters Elizabeth Priscilla (8) and Margaret (1), at 62 Heaton Street, Byker. February 6 – 1878, married to Catherine “Kate” Watson (Lucas). 1901 Census: Age 41, living with his wife Kate and their children Ralph (21), Ethel (16), Tom (10), Winifred (8) in Liverpool. 1911 Census: Age 51, living with his wife Kate and their children Ralph (30), Ethel (26), Winifred (18) in 246 Anfield Road. May 6 – 1915, passed away in Liverpool. Newcastle West End, appointed secretary, 1885. Sunderland, appointed secretary, 1888. ** Resigned, July 1896. Secretary: Liverpool, signed, July 1896. We understand that Mr T Watson has been appointed secretary of the Liverpool FC. The Liverpool club are to be commended on their choice, for Mr Watson has been not inaptly spoken of as a walking edition of the history of Association Football in the North of England. He has had some fourteen years’ experience of it, and since May 1889 has been associated with the Sunderland club as secretary. Previous to that period he had filled a similar post in connection with the Newcastle West End and East End clubs, both of whom subsequently joined hands, and are now known as Newcastle United. When Mr Watson joined the Sunderland club it was little known beyond its immediate vicinity, but with that energy, which characterises Tyne-siders, he threw himself heart and soul into his work, reconstructed the team, gained admission to the League, and established a record in the latter organisation that will take a lot of beating. Liverpool’s gain is indeed Sunderland’s loss. It is not the weather to turn one’s thoughts to football, but, seeing that there is only one more month to go before we assist at the dawn of the winter sport, it is high time that the news came pouring in. Strangely enough, little is being said, and this quiescent state would not argue great energy on the part of the various clubs, but I think we are to see an all-round improvement all the same. A very startling piece of news is the transference of Mr. T. Watson from the Sunderland to the Liverpool Club. Superficial followers of the game would not think that the success of a team would be affected by secretaryship, but I make so bold as to say that the various triumphs of the Sunderland Club have been not a little influenced by Mr. Watson‘s personality. Mr. Watson had a good eye for football talent. Big names did not move him to emotion so much as real ability, and, when you come to think that Sunderland have played very few really poor players, the worth of Watson becomes more apparent. There is no denying that the mediocrity of Southern professional football has been largely brought about by the inefficiency of the managers. Manager Watson made, perhaps, his only mistake when he came down South. He cast his eyes upon the waters, and he wanted an amateur fish in W. H. Russell, the well-known London Caledonian—then Clapton—back. Negotiations in this direction fell through, and Watson instead took Hyslop, of the 2nd Scots Guards, and Mackenzie, of Millwall, both forwards. With Hyslop he soon quarrelled, and he transferred him to Stoke. Mackenzie has not realised anticipations, but he may yet do well. The fact that Mr. Tom Watson has accepted the secretaryship of the Liverpool club – at a salary of £300 a year – proves that the Liverpudlians mean to leave no stone unturned to retain their position in the First Division; and that they started the season well by defeating the English Cup holders is synonymous with saying that genial Tom is sanguine of making his new team equal to, if not actually better than, the big local opposition in Anfield Road – Everton, the wealthiest club in the country. The growth of the game in Liverpool is startling, for it is not many years since the dribbling game was introduced into the Mersey port, and now that the two clubs are in the First Division, with such an organiser as Tom Watson at the head of the weaker team, the prospect of the English Cup or the League Championship going to Liverpool was never better. Mr. Watson’s first appointment was with Newcastle East End, but in 1887 he migrated to Sunderland, in whose service he remained until the commencement of the present season, when he accepted the offer of the Liverpool committee. His connection with the Wearside club brought the Northern team into the front rank, and although never fortunate enough to win the English Cup – not having yet reached the final – Watson’s old club has thrice won the League Championship. It is rumoured that Mr. Tom Watson, the secretary and manager of the Liverpool Football Club, will take over the management of the Queen’s Park Rangers’ team, which next year will blossom forth as a strong professional team. Those of my readers who expect to find “Hunting for men” a vivid account of an exciting cross country run with, say, the Quorn Hunt, and a kill at the finish, will be disappointed. I am no Nimrod. I have never ridden to hounds, and I can offer them no hints on how to clear a five barred gate, and leap the stream instead of ignobly swimming through, in pursuit of a flying fox. My “Hunting for Men” has been that of a football secretary. And if some people think the sport inferior in interest and excitement to chasing a fox, that is because they have not gone through what I have experienced, or they would hold a very different opinion. The professional footballer is nobler quarry than Reynard – more resourceful in his efforts to throw the pursuer off the scent, more dangerous when brought to bay. I feel myself a very Othello in adventures. I may not have been called on to seek the babble reputation at the cannon’s mouth, but I HAVE ASSUREDLY HAD MANY HAIR BREADTH ESCAPES by flood and field; and now that my occupation is gone – I mean the dangerous part of it – I sometimes wonder how I managed to survive them all. The contrast between then and now is great indeed. Now a football secretary can sit at home at ease and negotiate peaceably for the players he wants. He has now need to cross the Border for a single player. He can get them from his own fireside. THEN IT MEANT FORAYS INTO SCOTLAND conducted at the risk, if not life, at any rate of limb. The English football agent was received pretty much as an English army of invasion used to be received in the olden times, for the Scots were thoroughly roused against the poaching of their best football players by southern clubs, and they were not sparing of the horse-pond or rotten eggs when they caught the hated Sassenach poacher. As I have said, these things now belong to the past. The transfer of professional footballers from one country to another is a matter of international agreement. But, though I did not relish them at the moment, kindly time has purified the foul horse-pond and sweetened the rotten egg, and I sit down almost with a sight to record the lost joys of those dear old departed days. I do not envy the football secretary who has not gone through them. He has lost something in life. Fact! Let me see – it must have been in the ‘eighties when I first became secretary to the Newcastle-on-Tyne West End Football Club. Professional football had not then attained its present enormous development in England. No doubt the game is an ancient national one, but, like other old things, it had decayed. THE NEW LEASE OF LIFE CAME FROM SCOTLAND, where the game had attained a perfection, even then, to which it did not attain south of the Border till long after. It is not too much to say that English football would never have become what it is but for the Scottish “importations.” We are apt to forget who our mentors were now that we equal, in some cases surpass, them. And I take some credit to myself accordingly for having been among the first to introduce them to the British public. At the present time eleven out of twenty-three players for Liverpool Football Club, of which I am secretary, are English. I preferred Scotsmen because they were the best players then, and it was my good fortune to secure some of the best. For Newcastle West End I secured Ralph Aitken, of Dumbarton, a Scottish international, in 1885-6; for Newcastle East End I got J. Smith, of Kilmarnock, and J. Collins, Sheppey United. But it was in connection with the Sunderland Club that Scotsmen become most in demand, and that my experiences in obtaining them were most exciting. Sunderland was an aspiring club, with little local football talent. It was necessary to import men of the highest class, and how the policy answered may be judged from the fact that the whole team ultimately was compsoed of Scotsmen, and that they thrice won the League Championship – twice in succession – thrice got into the semi-finals for the English Cup, and were practucally invincible on their own ground. It is questionable whether football has ever been better played than it was by the team of which I am speaking. That is not my opinion alone; it is the firm conviction of many competent judges, and footballers, not a few, look back on that as THE GOLDEN AGE OF FOOTBALL, so to speak, which they can never hope to bring back. I dare say they idealise a good deal. Still, Sunderland’s record speaks for itself. The getting of the men was where the trouble came in. And I do not think I should ever have succeeded to the extent I did if I had not had – first, friends in Scotland; secondly, two staunch allies – one a wealthy gentleman who made it the passion of his life to get together the best team of footballers in the country, and I did not spare himself or his money to do so; the other a clergyman of the Church of England, now holding a benefice in the North, then a curate – himself a footballer, an enthusiast in the cause, a muscular Christian, in short, of the kind that WOULD HAVE DELIGHTED THE HEART OF CHARLES KINGSLEY Many were the jokes about the “club chaplain.” The “chaplain” was of use in more ways than one. I think the chief objections to coming to England were urged not so much by the players themselves – their relatives were the stumbling-blocks. It is an old saying that the finest sight in the world to a Scotsman is the high road that leads to England. However much that may be so, and however eager the players themselves were to come, their parents would strongly object. Living all their lives in remote parts of Scotland, or, at any rate, some of them, they were loth, naturally, to part with their sons; and then there was the going to a strange country, which, to their humble, pious minds, was desperately wicked, much as London is to the English bumpkin. I remember we should never have tempted one famous player’s mother to let him go if the “chaplain” had not been there solemnly to promise that her son would be sent to “nae Popish conventicle with a parson in it in his neet shirt,” but ALLOWED TO WORSHIP ACCORDING TO THE PRESBYTERIAN FAITH, in which he had been brought up. And, in the presence of us all, the old lady reverently knelt on the earthen floor of the humble spot and earnestly petitioned the Almighty that He would be pleased to rule and direct and prosper her son. If ever a prayer was answered that was; the old lady’s son made sufficient money to retire from football eventually, and he is now a useful and well-to-do citizen of the town of his adoption. Sometimes our experiences were less edifying. The “chaplain” on one occasion HAD NEED OF ALL HIS PRAYERS for his own safety. It was in Glasgow, and we three had made our headquarters at an hotel there while hunting for a celebrated player. Our presence became known to his club, and a plot was laid to entrap us. The club secretary himself called at the hotel, pretending he was the player whom we wanted. He was rather shy of coming to close quarters; so we made an appointment to meet him the same night at a house in Govan-hill and settle terms. I thought it cruel hard lines that at the last moment I had a raging attack of toothache. It was a blessing in disguise. I escaped the unpleasant adventure of my two colleagues, who went without me. They were attacked in a low part of Glasgow by a mob of footballers, vowing vengeance on the “poachers”; ancient eggs flew right and left, likewise bags of yellow ochre, and more dangerous missiles still, and at last they had to take refuge in a friendly doorway and knock for admission to the house. Here they passed an anxious time until the arrival of the police, who had been drawn to the spot by the row; half a sovereign rewarded their kindly host, and then, escorted by a large body of Glasgow police, they arrived back at the hotel, not without a parting salute of eggs and ochre from the disappointed mob. The “chaplain,” I must say, BORE A VERY UNCLERICAL APPEARANCE. It was rumoured afterwards, at home, that I was the “chaplain,” having disguised myself with his clothes; but, as I have said, I was saved – saved by the toothache, probably the only instance on record in which the toothache ever did anybody any good. I would go through it again under the same circumstances. After that, when in Glasgow, we adopted different tactics. Each of us stayed at different hotel. The trick was simple enough, but it never failed to work at night. I would then call, in a cab, on my colleagues, pretend to take each of them up in turn, and drive off, followed by a crowd of angry Scots vowing vengeance on the English thieves who were stealing all their best players. When the enemy went out of sight the other two gentlemen set about business unmolested. I engaged the attention of the crows till it was time to return, and “CAPITAL BAGS, OLD MAN” was the news that saluted me when I went to inquire next morning how the ruse had worked. Of course, we were not uniformly successful. We had to put up with many disappointments, and perhaps the keenest of these to me at the time was in the case of a well known Scotch international on whom I had set my heart. He had as many minds as a chameleon has hues, and he changed them as often. He accepted £20 from me to come at last, and I thought I had him safe. It was only to cry off again, and we had considerable difficulty in getting back the £20. We did it in the end – without the player. I believe that afterwards he really did come to England. He was a great failure, and went “hame” again, so that here once more Fortune was my friend, though his appearance was as forbidding as that little attack of toothache. One never knows his luck. I don’t think I have said anything yet about MY QUEST AFTER A FOOTBALLER AT SOME DYNAMITE WORKS, near Saltcoats in Ayrshire. It was not a job that I relished. There had been an explosion just before at some dynamite works, and half-a-dozen men were blown into the air, and came down, in little bits, about a fortnight later. They may not have been the same dynamite works, but I did not stop to distinguish; I hated them all alike, and if I could put the job on to anybody else’s shoulders I would have cheerfully resigned the task. The lot fell on me, though, and go I had to. The result was not an explosion, or rather not one of the deadly kind. An explosion there was, a wrathful shout when the fellow workers of the player saw what I was about. I did not see him, and did not wait to, with a howling mob at my heels, THEY RAN AND I RAN. It was a mile to the railway station, and I can fairly say I came nearer to breaking the record on that occasion than I shall ever do again. While still retaining a pretty good opinon of myself, I must candidly say that I could not do the performance again. I was younger and slimmer then than I shall ever be in the future, and I reached the City of Refuge first – the railway station, I mean – caught a waiting train – the only friendly thing at hand – and had soon placed a safe distance between myself and Saltcoats. Dynamite works or not dynamite works, I would not have gone back while that crowd was about. I was not the only football secretary hunting for players in Scotland, as you may imagine. There were others, or rather I am thinking of one who was a rival for the hand, perhaps I ought to say foot, of a well-known player. The mistake he made was in TRUSTING TO A TELEGRAM TO SETTLE THE BUSINESS. The telegram came to the player’s house while I was out with him. It urged “Jim” to sign only for that club. But “Jim” during the walk had promised to sign for no other club than Sunderland, and he kept his word. A man on the spot is worth any number of telegrams. And so I could o on telling of other escapades – of drives down lonely lanes at dead of night, as the safest way of getting at a player whose house was watched; of awkward spills in the roadway, though breaking no bones; of arriving on the scene at the wrong moment, say just when a team had wona match and the player I particularly wanted had done most to win it. That unhappy conjunction of circumstances – no fault of mine, I need hardly say – appeared to arive everybody to a singularly emphatic outburst of frenzy. I suppose I must have look to them like the butcher who has come to take away the pride of the flock. And I had to flee, or, rather, the horse had. How often have I regretted at such crises in my existence that I am not a cyclist. Mr. Samuel Tyzach was a welcome visitant to Tom Watson’s domicile during the past week. How they must have talked over and sighed for the old days. As a pair they brought off more successful captures than probably any two men in England, and Tom would be the first to acknowledge that much of the fame achieved by him in the football world was owing simply and solely to the splendid assistance rendered him by Tyzach. Mr. Tyzach was fairly idolised by the old Sunderland players, and most of the credit for collecting together that gloirous band of footballers belongs to him. When his team always win – what a glorious time! And, of course, there’s a rise in his own salarie. They really are most extremely proinsive! When the course of a team is one long victoriee. And you’re left in the lurch in your own juice to stew! Your “friends” and your fioes alike join in the splutter! Standing over the drop with the rope round his neck! Kind sir, please oblige me-er-pray lend me a gun! What’s the difference so long as from earth I sin gone! What’s this? – It is! – no! – yes! – by Jovel it is – the gum!!! The above “screed” I picked up on a piece of paper at the Anfield-road ground on Boxing Day. It can’t be Secretary Watson’s. True, he has been moody in manner of late as the “Melancholy Dame,” and I have caught him, at times, with a far-away look in his eyes, musing as he gazed at the club-house roof, mentally abstracted from his sordid surroundings; he is letting his hair grow, too, and wearing disgracefully dilapidated old clothes – all indications, I need hardly remind the discerning reader, of a poetic temperament. But he has no need to contemplate suicide; Liverpool have done exceedingly well during the holidays; they have rehabilitated their reputation; as manager of the team he has restored his prestige, and regained the confidence of the crowd; so why choose the present auspicious moment to “shuffle off,” when the dark days of defeat – gone, I trust for ever – he could have done it amid universal applause? Mr. Tom Watson, secretary of the Liverpool Football Club was yesterday robbed of nearly £100 on Llandudno Pier. He went from Liverpool in the morning with his family for a day’s outing, and took the money which belonged to the club with him believing it would be safer than in a close-up house. He carried it in a bag in the pocket of his trousers, and missed it directly the steamer left Llandudno on the return passage. I deeply regret to learn that Mr. Tom Watson has been suddenly taken ill, and his condition is somewhat serious. No football “head” is so popular as Mr. Tom Watson. “Owd Tom” is the call everywhere he goes, and the news of his illness will surprise and shock his numberous friends. Last week he was at a match and it is feared he caught a chill. At any rate, pleurisy led to this temperature jumping up. Later an improvement was seen, but last night’s report of Doctor-director Ferguson was not as encouraging as we should have liked. However, we trust that Mr. Watson will speedily pick up and be out and about again at his favourite summer game – bowls. We regret to announce the death of Mr. Tom Watson, secretary of the Liverpool Football Club, which occurred at his residence, Priory-road, Liverpool, early this afternoon. Mr. Watson was present at the match between South Liverpool and Liverpool last Thursday, and was in town on Friday, but later he was taken ill, suffering from pharisy. He was at once attended to Dr. Ferguson but his condition became very serious and despite all attention he was some come as stated. 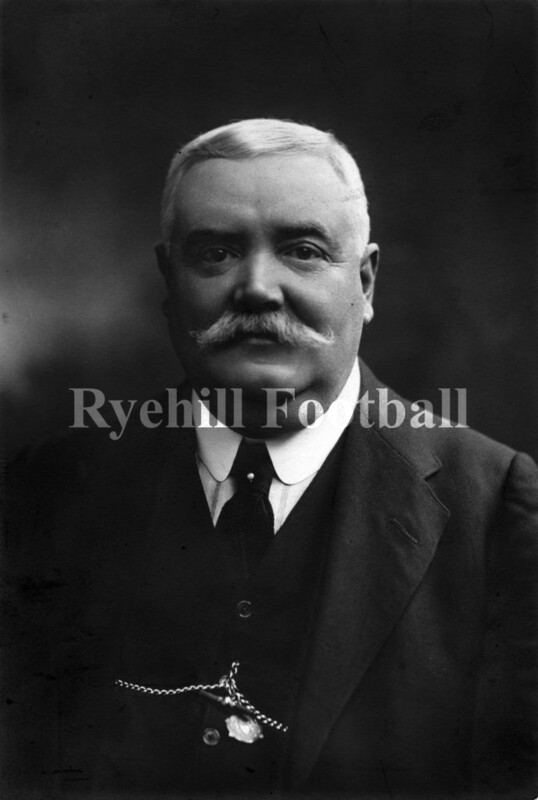 Mr. Watson was one of the best known football secretaries in the country and was a most popular figure in England and Scotland, a favourite with everybody, player and official alike who were greatly attached to him. His geniality has been known to secure players for his club where others have failed simply because the players could not refuse him. He made host of friends and in happy smile will be sadly missing from many sporting circles. Mr. Watson had spent his lifetime in the interest of football and it may be said that he was one of the pioneer of the professional game. A native of the Tyne district he was appointed secretary of the Newcastle West End Club in 1886 when there were no league, and no £1,000 transfer fees, but he succeeded in bringing severe internationals from Scotland. After a most successful career with Sunderland Mr. Watson was induced to join the Liverpool club as its secretary and he took up his duties under Alderman John Houlding in 1896. Since that time he had held the reins off the Anfield club, and though it has passed through troubled waters he never stopped trying and along with the directors worked hard to enable the club to secure its present magnificent ground, and prior to the war the club was in a sounder position than it had ever been before. This was undoubtedly largely due to the fine work of Mr. Watson, who gave the directors the fullest benefit of his long experience. During the course of his career with the Anfielders Mr. Watson has seen the club champions of the First League on two occasions and they created a record by finishing on top of the Second Division one season and at the top of the first the following year. The club experienced many ups and downs but Mr. Watson used to say that Liverpool was the most attractive club in the League simply because you never knew what they were going to do next. Mr. Watson was very proud of the team’s in reaching the final of the cup last year, and though naturally disappointed at the defeat in the final – it was his first final – he was nevertheless pleased with the previous successes. He was very fond of bowls and on local greens was a familiar figure. A member of the Anfield club, he was also expresident of the Liverpool and District Boxing Association and chairman of the Liverpool Parks and Garden League. The death occurred at Liverpool yesterday afternoon of Mr Tom Watson, secretary of Liverpool Football Club, and previously secretary to Sunderland. He came to Liverpool in 1896, and had been connected with the game since 1883. He was born at Newcastle-on-Tyne in 1859. We regret to announce the death of Mr. Tom Watson, the secretary of the Liverpool Football Club, which took place yesterday afternoon, after a few days’ illness, from pneumonia, at his residence, Priory-road, Anfield. Deceased was a native of Newcastle, having been born at Heaton Terrace in 1859. He celebrated his fifty-sixth birthday during a visit to his relatives in the city a fortnight ago. Mr. Watson was one of the leading pioneers of professional Association football and for a quarter of a century he played an important part in controlling the fortunes of the Sunderland and Liverpool Clubs in the First Division of the League. A keen, enthusiastic amateur player in his youth, Mr. Watson early assumed the role of an official. He acted as secretary of both the Newcastle West End and East End Clubs. Whilst associated with the first-named institution, he headed a deputation which resulted in the Newcastle Freemen and the Newcastle Corporation granting permission for football to be played on the site now known as St. James’s Park, in the occupation of the Newcastle United Football Club. 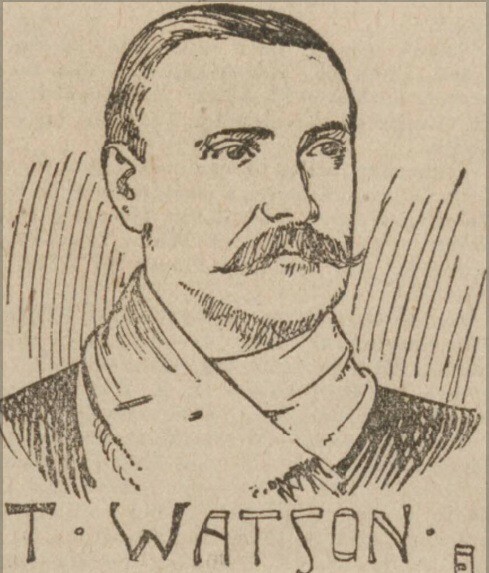 For the purpose of cultivating the game on the scientific lines practised in Scotland, Mr. Watson introduced several smart Scottish professionals into the ranks of the two leading Newcastle clubs. At that period the young Scots readily accepted a £5 note and the offer of a good job in a Tyneside factory. Upon leaving Newcastle, Mr. Watson took over the secretaryship[ of the Sunderland Club, and under his shrewd management and enterprise the Wearsiders attained great fame as “The team of all the talents.” He was chiefly responsible for the organisation of the team, including such famous players as Doig, Auld, Gillespie, the Hannah’s, Johnny Campbell, Jock Scott, Donald Gow, and Hughie Wilson. Mr. Watson also had a signally successful career in establishing the prosperity and popularity of the Liverpool Club. Deceased was a brother-in-law of Mr. J. Oliver, a member of the Newcastle United directorate, and his death will be mourned by a large number of Tyneside friends and sportsmen. It may be added that he was engaged in his office at Liverpool as late as last Friday, when he was seized with the severe chill which so quickly developed into a fatal attack of pneumonia. In the West of Scotland there were few better known personalities in the world of football than the late Tom Watson, manager of Liverpool F.C. 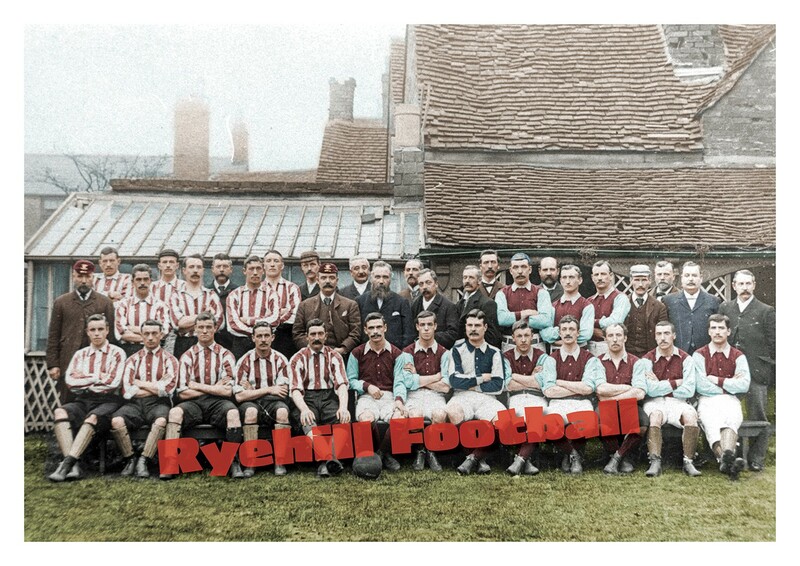 On the formation of Sunderland F.C. he joined the Wearside club as manager. The moving spirit of the new organisation was Mr. Sam Tyzack, and he and Tom made up their minds they would put the club right in the van of English football. Scotland was the happy hunting ground of the football managers in those days. His face was almost as well known in the streets of Glasgow as Willie Wilton’s or Willie Maley’s, and he used to declare he was one of the most regular customers the “Bank” had. It was not until he had secured the Renton contingent – John Campbell, David Hannah, and John Harvie – that the club made real progress. By then he had also secured J.E. Doig, of Arborath, who was one of the best custodians the game has known, and he had a keen desire to get Donald Gow, the brilliant full-back of the Rangers. There was no limit to Tom’s ambition. A raid into Ayrshire led to the capture of Hugh Wilson, of Newmilns, and James Miller, of Annabank, and happy would be the club nowadays who could secure such a brace. Hugh Wilson was undoubtedly the greatest half-back the game has seen, and Jimmy Miller one of the finest forwards. What would the Rangers not give for one of his class. Miller was uncle to Willie Dunlop, one of the first of the band of Scots to settle on Wearside, and was years younger than his nephew, a fact that used to tickle the risible faculties of new acquaintances. One of Tom’s greatest blows was when Jimmy succumbed to the blandishments of William Wilton and threw in his lot with the Rangers. It took the Ibrox manager some time to work that business, but it was time well spent, for James Miller had a big hand in the phenomenal success of the Rangers, while he was in their ranks. But Tom was never one that bore malice, except a tiny bit in the case of Aston Villa. When he was beaten in a deal over a player he took his defeat in the philosophic spirit. In the early days of the club Sunderland had great difficulty in gaining admission to the League. The Midland clubs in particular opposed their inclusion owing to the long railway journey it would ontail, and Tom owed the Villa a grudge on that account, and there was another matter that made the feeling a little stronger, and Tom loved to tell it. One of the earliest great players Sunderland had secured was Johnny Harvie, of Renton, who was ever a great favourite of Tom’s. John had left Sunderland and returned to Scotland just before the Wearsiders were included in the League, so that he did not have any great reputation outside of the North of England, and Scotland. On returning to Scotland he threw in his lot with the Clyde, but through the latter looked strong on paper the eleven did not blend as expected, and a 6-0 defeat from Celtic at home led to Harvie making up his mind to return to England. “I dinna want tae go back tae Sunderland,” he confined to a friend. “They micht think I wis gled tae get back. Drap a note tae Aston Villa an’ see whit they say.” And a note was “drapped” accordingly, with the result that a reply came that a representative of the club would be in Glasgow forthwith to carry through the business. In due course a meeting took place in one of the City hotels, and it was apparent from the Birmingham man’s demeanour as soon as he saw Harvie that he was displeased. “Would he no’!” was the reply. “I’ll gamble you have no better player.” But all the friend said fell on deaf ears, as the Brum, had made up his mind he wasn’t signing Harvie. Harvie was short in stature, but exceptionally powerful in build, and stripped much bigger than he looked in his clothes. On the way home the man from Birmingham chanced to espy Tom Watson at Preston Station, and, calling to him, Tom entered his compartment. In the course of conversation he told Tom where he had been, and the business he had been on, adding – “When I saw Harvie I realised at once that you, knowing he would be of no use in League football had got rid of him, and I am too old a bird at the game to make such a mistake as that, so I would have none o’ him,” and he must have thought Tom’s laughter meant acquiescence. At the first stop the Sunderland manager begged to be excused for a few minutes, as he had a wire to dispatch, and hurrying to the telegraph office he sent a message to Sunderland to send someone to Glasgow at once to sign Harvie, and to arrange for him to play against Aston Villa at Birmingham on the following Saturday, and when he returned to Sunderland found his orders had been carried out, and that the Rentonian was installed in his old quarters. The information had indeed been news to Tom Watson, as he did not have the remotest idea that Harvie contemplated returning to England, hence the speed with which he acted once the information was his. On the Saturday Sunderland beat the Villa 6-0, which is the greatest defeat the club has ever experienced on their own ground in the League competition, and the irony of it was Harvie had four of the goals. What Mr. Rinder and George Ramsay, of the Villa, said to the representative of the club who had been sent to Glasgow to sign Harvie, after they had seen the latter play, I know not, but you can take your affidavit they did not pay him any compliments on the judgment he had displayed, and that was the last time he was sent out on the same business. The Sunderland team of the early days were a veritable band of brothers, and the merriest, maddest crowd you can meet. See them as the train they were travelling by neared their destination. “The Harriers, boys,” one would cry and no matter though it were broad daylight each and everyone, on pain of paying a penalty of five shillings, rolled his trousers as far up his thigh as they would go, and, thus strangely garbed, they would stalk through the streets to their hotel, the observed of all observers, for the natives would at first think a crowd of loonies had struck their town. A cool corner of Anfield Cemetery had been chosen. The sun’s rays shaded his last restingplace. “Tom” was buried there. The day was beauteously fine, and the setting of the last act was all peaceful. The whole sportsworld seemed to be represented. The late manager of the Liverpool Football Club had no enemies and the far-stretching reach of his works – charity being placed No. 1 – was in a measure shown by the representative gathering which attended to pay its last tribute to an ensteemed man. The body was borne to its resting-place by old and famed players of the club: Raisbeck, Maurice Parry (in his regimentals), Charles Wilson, Goddard, Ted Doig, Bobbie Robinson, and Trainers Fleming and Connell. The following players of the past season were present: – Joe Hewitt, Thomas Fairfoul, Kenneth Campbell, Arthur Metcalf, Donald Mackinlay, Jack Parkinson, John Sheldon, Robert Terriss, James Scott, Harry Lowe, Ephraim Longworth, Elisha Scott, Phil Bratley, Matt McQueen, William Connell, George Patterson, and R. Riley. From far and near came the football club representatives. A bossum chum in Mr. John J. Bentley was much affected by his friend’s passing hence, and others I noticed were Mr. R. Kyle, of Sunderland, Mr. Frank Watt, of Newcastle, Mr. Oliver (Newcastle’s chairman and relative to the deceased), Villa’s chairman and secretary, and representatives of Wolverhampton, Stockport, Blackpool, Barnsley, Grimsby, Manchester United and City, and Bolton clubs. Scottish clubs, where Tom was so well-known sent their “bearers,” and I noticed Willie Maley present, also Mr. A.J. Dickinson, of the League Management Committee and Wednesday F.C. The “Union Jack Day” Committee and the “Belgian Flag Day” Committee were represented by Messrs. W.W. Kelly (chairman), Lewis Peake, Tom Bush, Tom Wood, W.A. Crouch, G. Stretch, Will Jones, John Gaffney, T. Audley (Liverpool Cyclists’ Carnival Committee), Harry Walker (hon. Secretary), T. Smith (assistant secretary), and, J. Mulligan. There was large attendance of brethren from the Masonic lodges. Various bowling associations were represented by Messrs. A.A. Newlands, W. Harrison, W. Dobell, G.H. Dale (Manchester), H. Wright, A.E. Haynes, J. Hewitt, R. Smethurst, J. Denaro, T. Preston, A. Clinton, J.L. Leyland, A.G. Bell, W.D. White, J. Hughes, T. Page, N.C. Gibb, T. Harthill, F.E. Kitchen, T. Kendall, W. Jones, F. Perks, T.W. Smith, J. Reynolds. The Liverpool Football Club directors (Messrs. John Asbury, John McKenna, W.R. Williams, A. Worgan, R.L. Martindale, T. Crompton, E.A. Bainbridge, and W.C. Briggs), and Dr. Ferguson attented and the Rev. W.L. Hann conducted the service. Another clergyman present was the Rev. Herbert Dunnico. Journalism was represented by Messrs. J.A.H. Catton and H. Hartley (“Athletic News”), E. Edwards and F.E. Hughes (“Liverpool Daily Post” and “Liverpool Echo”), J. Sager, T. Wales, and F. McNeil (“Liverpool Courier” and “Liverpool Express”). The general body of mourners included Alderman Simon Jude, Messrs. T.H. Blair (former secretary of the Casuals F.C. ), Tom McInerney, Edwin Berry, H.P. Cleaver (clerk to West Derby Guardians), Dr. Whitford, J. Lorimer, T.L. Hudson, A.E. Clinton, T. Heaton, W.J. Whitehead, R.H. Bamber, H. Neill, T. Jones, W. Buckley, J. Smith, Dr. Bogle, John Fare, Dr. W.H. Wright, N. Gibb, William Scattergood, James Hampson, H. Durry, G.F. Cullen, T.E. Kendall, Thomas Keates, H. Coleman, Thomas Molloy, T. Swift, C.F. Oakes, William Sandham, S. Hayes, J. Edwards, Dr. Unsowrth, T. Purcell, J.P. Grant, Dr. Johnston, A. Lomax, L. Helliwell, J. Bond, J. Hampson, J. Carroll, H. Jones, J. Sadler, W.E. Chaloner, T. Cuff, W. Ashcroft, G.B. Davies, F.G. Herrod, F. Skuce, J. Cato. R.E. Lythgoe, D.S. Lamont, and J. Grant (representing the Liverpool County F.A), R. Alty, J.P. Breckenridge, and C. Porter (South Liverpool Club), W. Steadman (Wednesday League), H.T. Halliday (Hospital Cup), F. Hargreaves (Lancashire Combination), Fitzroy Norris (nineteen years a referee), W. Jackson, John Elliott (Everton trainer), T. Jackson (Northern Nomads), F.J. Hoyle, H. Dutton Holt (Stanley Cricket Club), and F. Sugg. The number of wreaths, including tributes from the Liverpool and Everton clubs, was more than one hundred, and represented all the leading football associations. “J.T.C.,” who says “Bee’s note for ever,” writes re Mr. Tom Watson’s memorial: – It would be a grand thing for all football enthusiasts to show their appreciation for one whose name was a household word in the football world. It need not only apply to Liverpool, but everywhere the late Mr. Watson was known could share in such a worthy object; but if it is only to be confined to Liverpool allow me to suggest that a clock placed on the big stand and an drinking fountain outside the ground would meet with the approval of thousands of the football public who treasured he name of Mr. Watson more than any other official connected with the club. I read your remark re a memorial to be placed on “Spion Kop.” I think it would have to be a very big one, so that it could be seen by all on the ground, and would also have to be placed in such a position that it would not obstruct the spectators’ view of the game. No doubt you will condense this letter in your best style. NEGLECTED graveyard plots lying in the shadow of a football stadium have been identified as the last resting place of two Sunderland football legends. Research has discovered that both Tom Watson, who managed the team in the 1890s, and goalkeeper Ted Doig, who played for the team during the same period, are buried in unmarked graves in Anfield Cemetery, in Liverpool. Watson was in charge at Sunderland for six seasons from 1889 to 1896, during which time he led the club into the Football League. Under his guidance, Sunderland won three league championships in 1891–92, 1892–93 and 1894–95, making him the most successful manager in its history. Watson moved to Liverpool in 1896 and enjoyed further success there until his death in 1915. Scots-born Doig won four First Division titles at Sunderland and became not only Liverpool’s oldest signing at 41, but also the club’s oldest-ever debutante at the age of 43.The Scotland international died in November, 1919, one of the many victims of the Spanish Flu epidemic. Liverpool and Sunderland have come together to commemorate the life of a man who served both with distinction when the two clubs were in their infancy. Tom Watson managed the Reds to their first-ever title in 1901 – and he arrived on Merseyside having already won three titles at Sunderland between 1892 and 1895. Watson, who passed away in 1915 after guiding Liverpool to another league triumph in 1906, is buried in Anfield cemetery, a short walk from the stadium. Now, with the support of Sunderland chief executive Margaret Byrne and Liverpool managing director Ian Ayre, plans are advanced for the creation of a special headstone for Watson’s grave. Liverpool FC museum curator Stephen Done has been in discussions with various interested parties to agree on the wording and it is hoped the memorial will be in place by the time the clubs meet again in March 2014. The headstone for Watson will complete a trio of memorials – the others are to Reds ‘keeper Ted Doig, and Andrew Barclay, who was the first secretary of Liverpool FC. Doig won a fourth league title medal at Sunderland in 1902 before adding a second division title medal with Liverpool in 1905 and acting as back-up ‘keeper when they again lifted the championship in 1906. The recent memorials have been put in place thanks to the efforts of Eric Doig, Ted’s grandson, and George Rowlands. 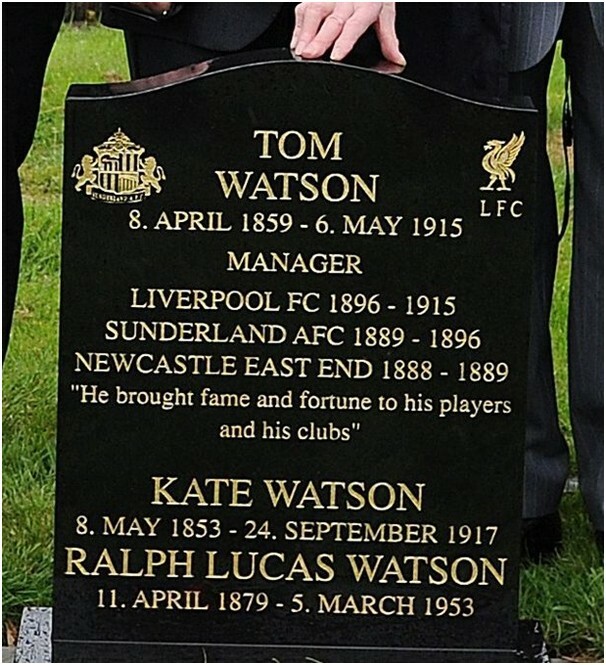 Club joins with Sunderland to unveil new headstone on unmarked grave of Tom Watson who managed both clubs Liverpool Football Club have teamed up with Sunderland to unveil a headstone on the previously unmarked grave of the legendary manager who brought the first two league titles to Anfield. 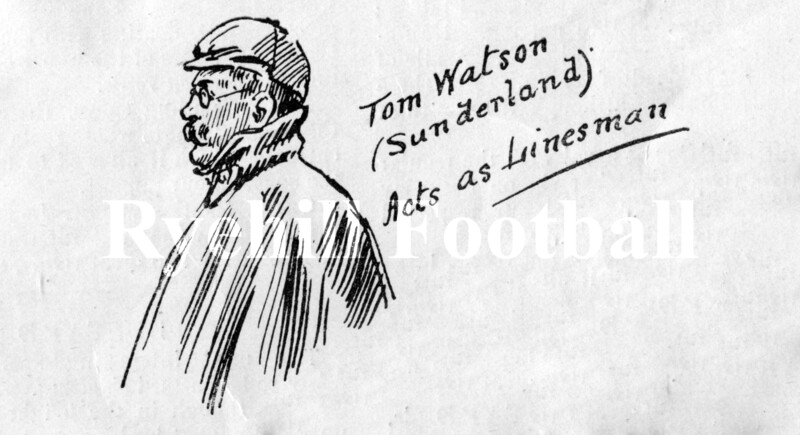 Tom Watson successfully managed Sunderland from 1889 to 1896, guiding the Wearsiders to their first three league championships before making the switch to Liverpool in 1896 and leading the Reds to their first two titles in 1901 and 1906. His reign at Anfield – he remains Liverpool’s longest-serving manager – was ended only by his passing at the age of 56 in 1915 from pneumonia. Watson’s team were the first Reds’ side to reach an FA Cup final and also became the first in history to win the Second Division and follow it up with the First Division the very next season. To mark the occasion at Anfield cemetery, Watson’s grandson Gerald Jensen flew over from the United States to assist with the unveiling. Both Liverpool Football Club and Sunderland contributed towards the cost of the headstone on the 100th anniversary of his death of their former manager. Another important person in the story was also present at the service. LFChistory.net recalls Tom Watson as a manager who instigated a strict new training regime at Liverpool. It states: “Watson implemented a strict diet and new coaching regime at Anfield that had served him so well at Sunderland. The players’ day started with half an hour stroll at 7.30am, breakfast at 8.30am ideally consisted of weak tea, chops, eggs, dry toast or stale bread. Butter, sugar, potatoes and milk were not held in high regard.